Mono is an open-source project providing the necessary software to develop and run .NET client and server applications on Linux, Solaris, Mac OS X, Windows, and Unix. Monodevelop is probably the best IDE for developing .NET applications on Linux. In order to install and use it for development, you will also need the Mono .NET runtime environment installed. 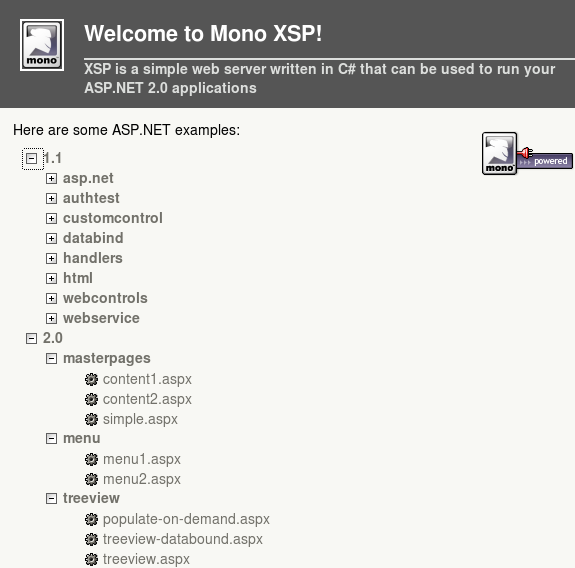 publicly available web applications already make use of Mono's ASP.NET support. when using ASP.NET with Mono you have two options as regards which web server to host your ASP.NET applications that is XSP and Apache we are using here XSP. XSP is a "light-weight web server" capable of hosting and serving ASP.NET applications. It is written using C#, making extensive use of the classes in the System.Web namespace.XSP web server runs on both the Mono runtime and also on the .NET runtime. Manage Your Personal accounts with Eqonomize! Error Message: HTTP 404. File ‘/’ not found. Any ideas how to make apache2 and mono work together? mod_mono ? Do ya know how to configure them? the Neokernel than with XSP or apache/mod_mono. You must be on the directory /usr/share/asp.net2-demos/ before you run xsp. Otherwise that error will be displayed. Hi all. First of all, thank you for this excellent tutorial. 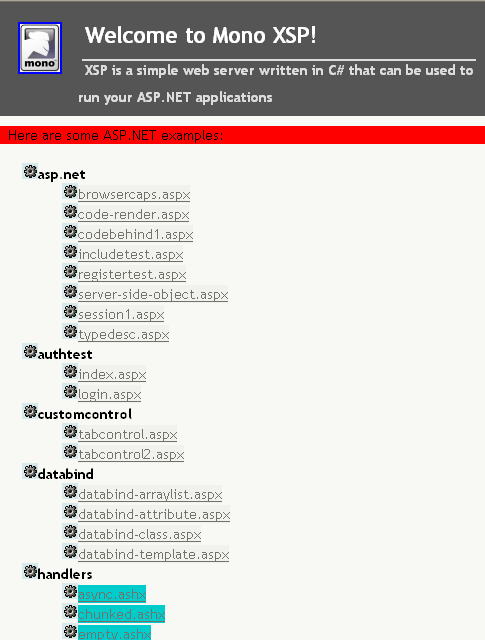 I have an asp.net 2.0 app that I used to run on IIS but I am trying t get it to work on Ubuntu with Apache. However, this app uses an MS access database and I cant put xsp to work with this. Any ideas? I am getting index2.aspx not found error now. I got this solution from a blogger in another site. I installed Ubuntu 7.10 with PHP and mySQL and also installed mono for ubuntu (both, xsp1 and xsp2) with examples/demos. When running xps or xps2 I seem to get the predicted responses. Error Message: HTTP 404. System.Web.HttpException: File ‘/’ not found. System.Web.HttpException: File ‘/’ not found. what went wrong? Mind you, I am also quite new to Linux and ubuntu in particular and can do with all help I can get. I have the same error…. I build a website in ASP.net that works perfectly in a windows server. I need to migrate this website to a linux server, which dont have the Mono. I’m going to suggest these application to my co-workers, but i have a doubt: do i have to change anything on my code source? Or the files i have now will just work fine? Standard output has not been redirected or process has not been started. System.InvalidOperationException: Standard output has not been redirected or process has not been started. I got the same problem for normal aspx files on my Debian system. I also installed the VNBC compiler with apt-get install. I’m wondering why the C# compiler has got such problems while the VB compiler is running well? restart apache2 or xsp or your web server and check result in browser. I think it would help. 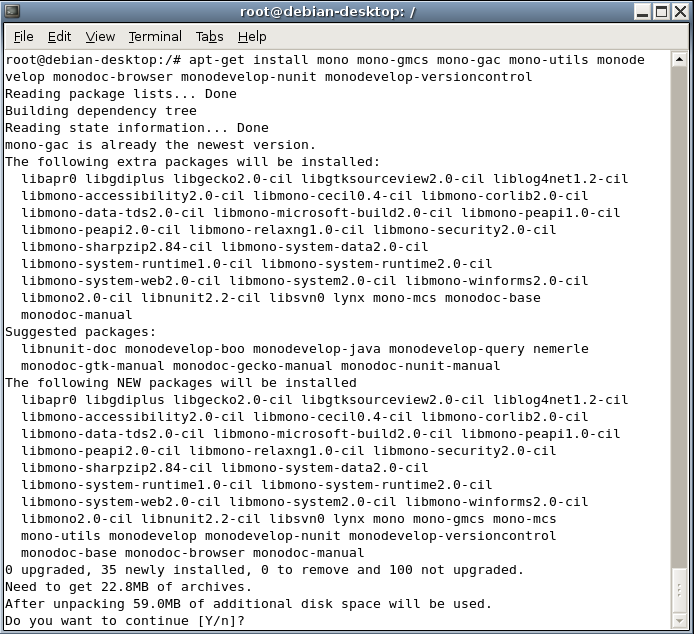 Rather than create a symlink it is best to install mono-devel to resolve this issue. Anybody have solution of this ? I’m also having this problem. First of all localhost:8080 does not shows xsp home rather it shows apache’s index(var/www). Description: HTTP 400. Error processing request.